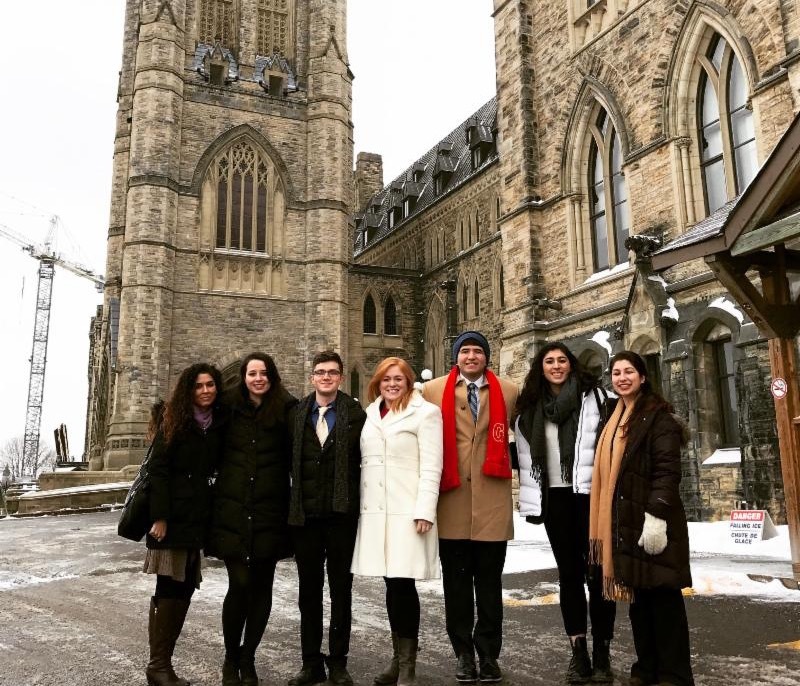 A delegation of six Turkish Americans college students and young professionals attended the Council of Turkish Canadian (CTC) 9th Annual Turkish-Canadian Youth Congress from February 10-12, 2017, in Ottawa, Ontario, Canada. The delegation spent the weekend attending meetings with officials and experts, learning about the Canadian political system, and developing a network with their Canadian peers. TCA sponsored the travel for three of the Turkish American participants and CTC sponsored the accommodation and conference participation of all six. The Congressional Caucus on U.S.-Turkey Relations and Turkish Americans how has 142 members in the 115th Congress with the addition of Representatives Don Bacon (R-NE/2nd) , Anthony Brown (D-MD/4th) , Brian Fitzpatrick (R-PA/9th) , and Darren Soto (D-FL/9th) . Currently, the Turkey Caucus is represented in 43 out of the 50 states and five out of the six U.S. territories. The Turkey Caucus is a bi-partisan platform for members of Congress to focus on U.S.-Turkey relations and issues that concern Turkish Americans. TCA sponsored a roundtable discussion in Key Biscayne, Florida, on February 19 for members of the Florida Turkish American Association (FTAA) and Congressional Turkey Caucus member Rep. Virginia Foxx (R-NC/5th). Congresswoman Foxx is a former Co-Chair of the Turkey Caucus and is the Chairwoman for the House Education and Workplace Committee in the 115th Congress. TCA President G. Lincoln McCurdy and Turkish Americans in southern Florida met with Rep. Ileana Ros-Lehtinen (R-FL/27th) in Miami, Florida, on February 19, 2017. Discussion focused on U.S.-Turkish Syrian and terrorism issues. Congresswoman Ros-Lehtinen is the former Chair of the House Foreign Affairs Committee and is currently the Chairwoman of the Foreign Affairs Subcommittee on the Middle East and North Africa. Members of the Turkish American Cultural Society of Colorado (TACSCO) hosted Congressional Turkey Caucus member Rep. Mike Coffman (R-CO/6th) in Denver, Colorado, on February 21, 2017, for a roundtable discussion. TCA President G. Lincoln McCurdy also participated. Congressman Coffman is a member of the House Armed Services Committee. The Constitutional Council of France repealed a provision of the Law on Equality and Citizenship that aimed to criminalize speech that disputes genocides. The amendment, contained in article 173 of the Law of Equality and Citizenship, had been stealthily inserted into the reform package late last year through efforts by the Armenian French lobby. However, the Constitutional Council repealed the amendment on grounds that it violated France’s Law on the Freedom of Speech and Press and the French Constitution. The Council’s decision described the amendment as an unnecessary and disproportionate attack against freedom of speech. The Council also reaffirmed its earlier decision that a crime against humanity or genocide must be established by a competent court, not by the legislature. On February 11, Turkish Radio and Television Corporation (TRT) aired an interview with TCA President G. Lincoln McCurdy where he discussed U.S.-Turkey Relations under the new Trump administration. He also discussed the importance of Turkish American civic and political activism, the Congressional Turkey Caucus, and members of the Caucus who have joined the Trump administration. TCA President G. Lincoln McCurdy and TCA representatives met with the American Turkish Association of Washington DC (ATA-DC) to discuss grassroots activism and issues important to the Turkish American. Former U.S. Consul General in Istanbul Charles F. Hunter visited the TCA office on February 14, 2017. Mr. Hunter served in Turkey from September 2013 to August 2016.